My daughter has a Stan Pike. Well, more interestingly, it was Don Farrell’s Stan Pike. Bought from Don prior to his death. She has decided, with much reluctance, that she will sell it. My dad was a keen cyclist after the war and belonged, with some of his family, to Wellington Wheelers, Somerset. My parents knew Graham Tomlinson and when he said that he and Terry Manuel were holding a meeting in around 1980 to reform the club, they were there. My husband and I also cycled and consequently brought our children up to ride as well. (See PJ 25353). The children acquired a number of bikes, as they grew, through members of the Wheelers, including a Graham Tomlinson and a Mercian. In about 1996, Terry Manuel told my parents that Don Farrell, then living at Porlock, was selling his bike. 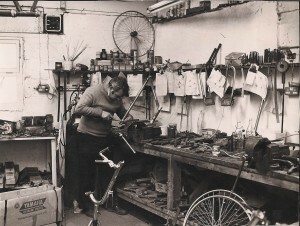 We were looking for a bike for our daughter and arranged to visit Don the next time we were in Somerset. The bike was a dark turquoise; it had been well used and needed some attention. Don told us that Stan had built it for him. 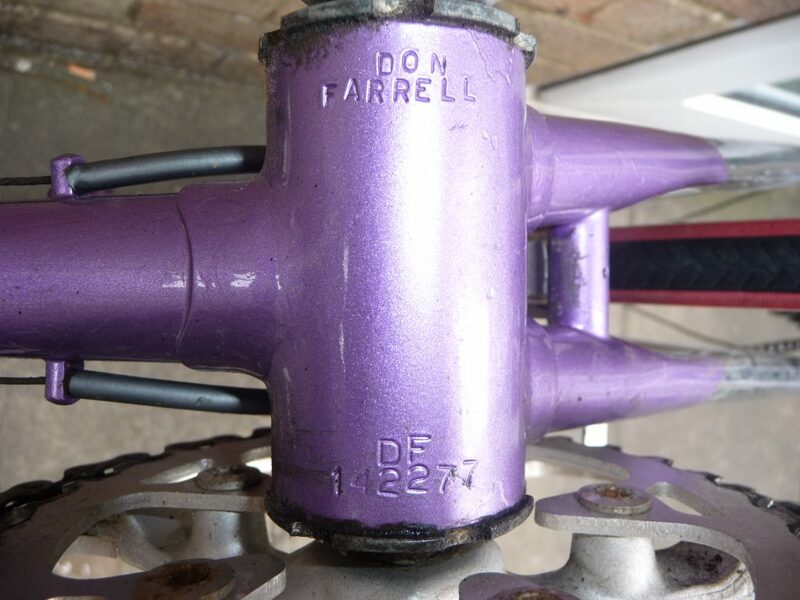 The frame is stamped – DON FARRELL and DF142277. 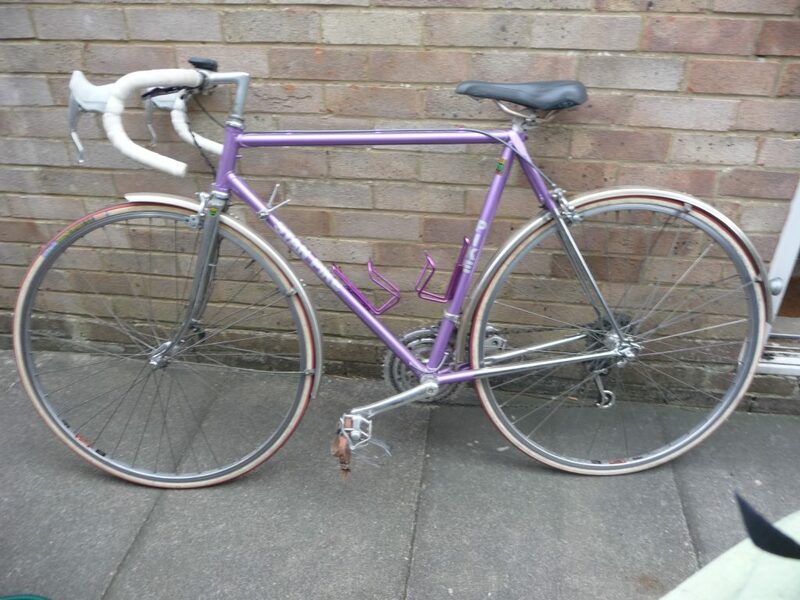 Our daughter was 13 at the time and decided she wanted a purple bike. And accessories. She rode it a lot till she went to university and didn’t want to take the bike with her. Over the last seventeen years it’s not been used much. She didn’t really grow into it and struggles to reach the brakes, hence the more recent alterations. 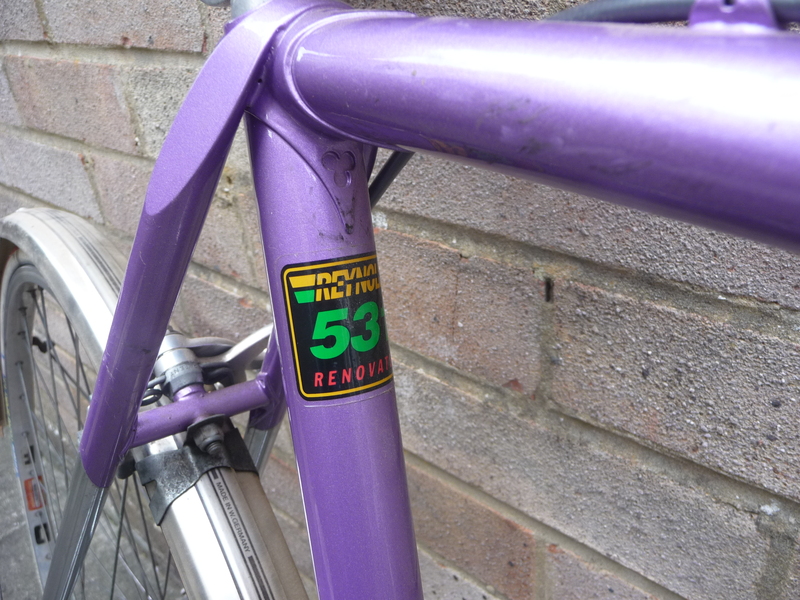 The frame was resprayed by Argos and components replaced. See spec below. We couldn’t get any Stan Pike decals so just had his name made. 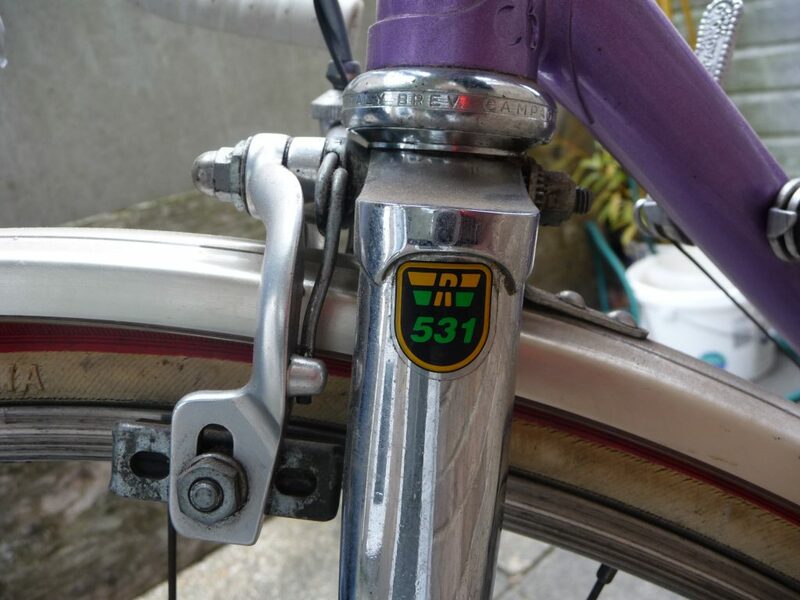 When we bought it, Don’s name was on the bike, not Stan’s, but Don included more decals of his name in the sale. Becky has now decided reluctantly to sell her pride and joy. As it’s too big for her, she thinks it will be better to have a bike which she will use and which fits. Unfortunately I can’t find a record of it, but I do recall it being made for Don and remember my father talking about it. If you’re interested in purchasing the bike, please contact me. The family are looking for £450. 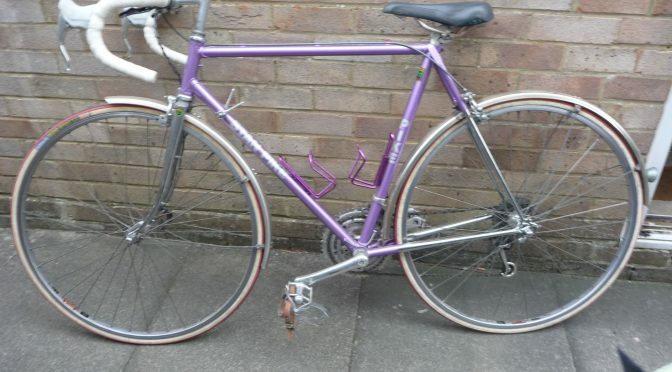 Don’t delay, pick up a piece of cycling history before it’s snapped up! UPDATE 6 NOV 2018: As expected, lots of interest and sold very quickly. 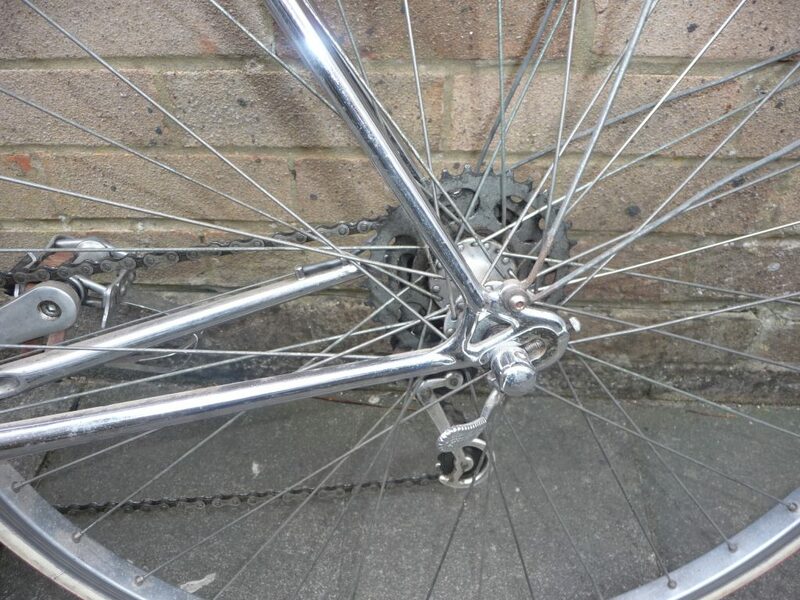 Chrome forks and rear triangle. 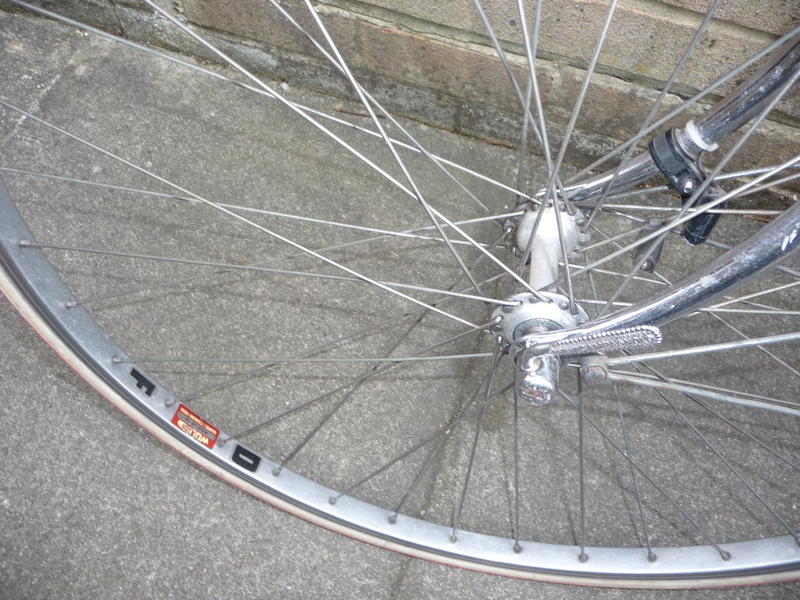 Rear dropouts with adjusters possibly Shimano. 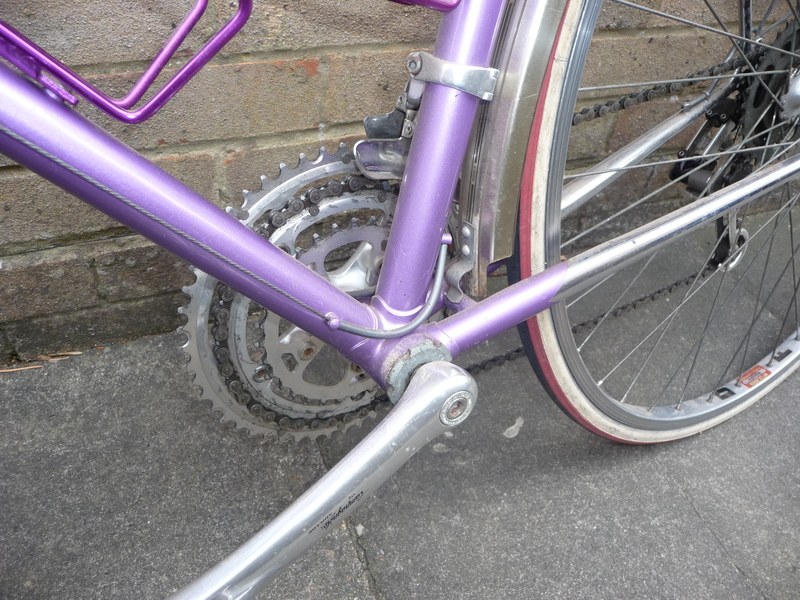 Campagnolo 170mm Mirage cranks, but pedals and toe clips are not necessarily original. 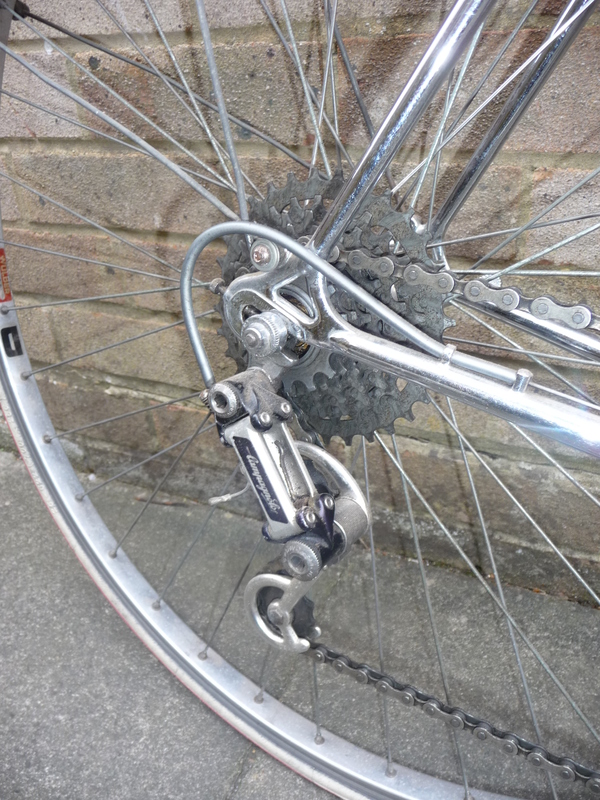 Campagnolo front and rear mechanisms. 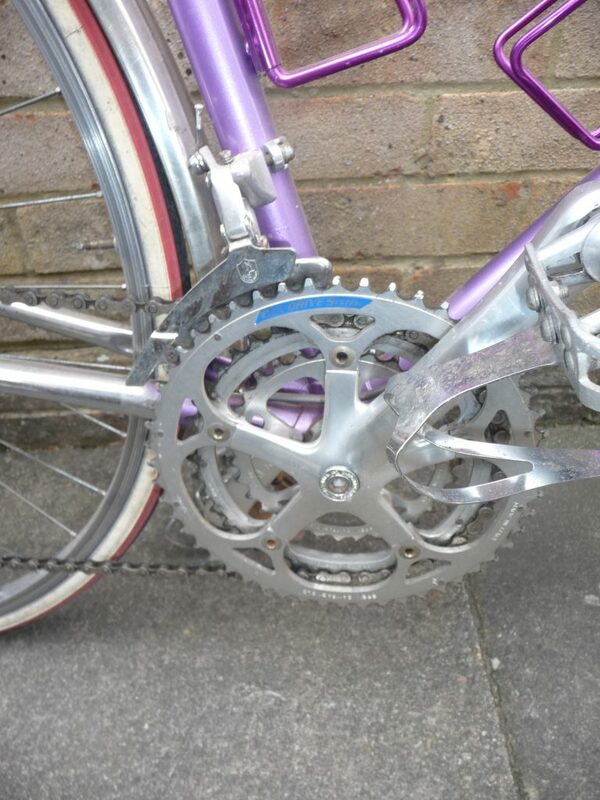 ExaDriveSystem Front rings 52, 42, 32 and rear 7 speed block 14-32, not sure of manufacturer but original to the bike. Campagnolo GS side pull brakes and levers. 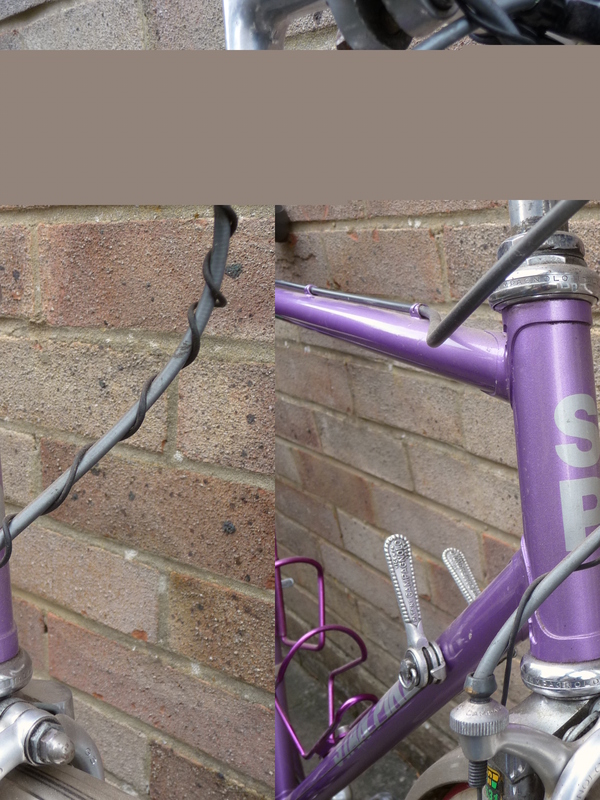 Bike altered to concealed cables, but hoods original. 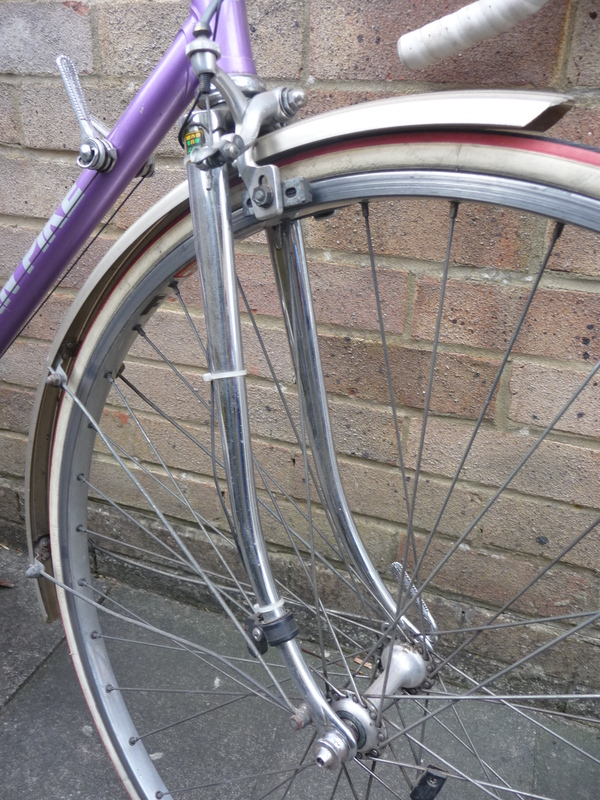 Also secondary brake levers added to front of handlebars. 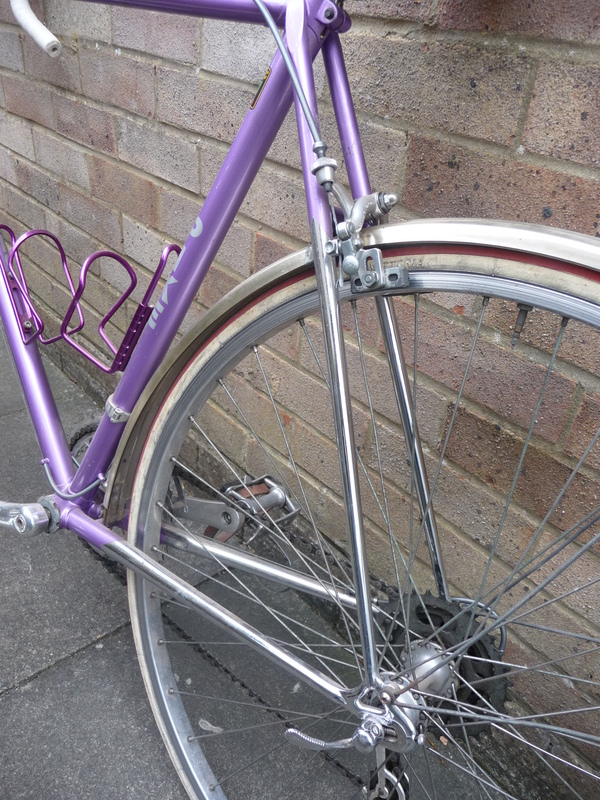 Cellini handlebars on un-named stem. Bottle cages, cable casings and saddle not original. 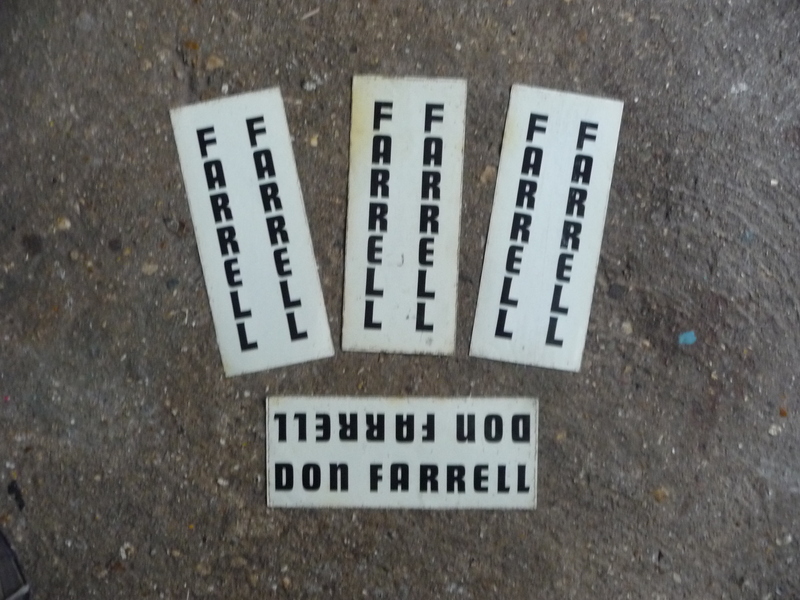 Spare sets of Don Farrell frame transfers come with the bike.